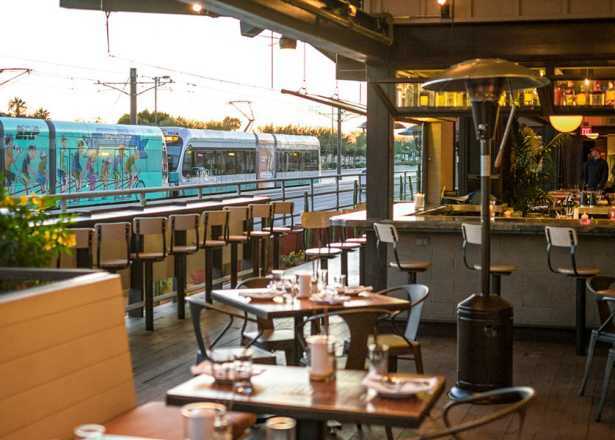 Inspired by a meal and moments of reflection at the Louvre in Paris, a local writer spotlights Phoenix cultural attractions that elevate the dining experience. When I visited Paris a few years ago, I dined in all types of establishments. And even though I was traveling in sophisticated French cuisine circles, the most memorable meal I ate was in the Louvre Museum, at Le Café Richelieu/Angelina, tucked next to Napoleon III’s personal apartments with a panoramic view of the iconic Louvre Pyramid. As I nibbled on Quiche Lorraine and sipped a sparkling rose from Cotes de Provence, I reflected on my exhausting but educational excursion through the world’s largest museum. Normally I wouldn’t want to linger and dine at a major sightseeing attraction. After all, beyond the treasure trove of priceless masterpieces and historical objects, most museums offer over-priced and unremarkable grab-and-go fare that leaves little to the tourist palate or imagination. At the Louvre, I was invited to savor the museum’s monumental details with a friend over an above- average meal in a setting that transported me to the Age of Enlightenment when the great intellectuals of the world gathered in public spaces and salons to discuss art and culture over a sumptuous meal. 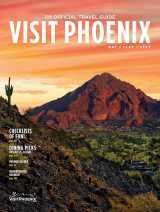 After returning to Phoenix, I realized the Valley of the Sun had something distinctly in common with the City of Light. Dining at many notable museums here is an equally elevated social experience where food isn’t just a tourist afterthought wrapped in flimsy cellophane but a satiating event as special as the collections and artifacts they preserve. 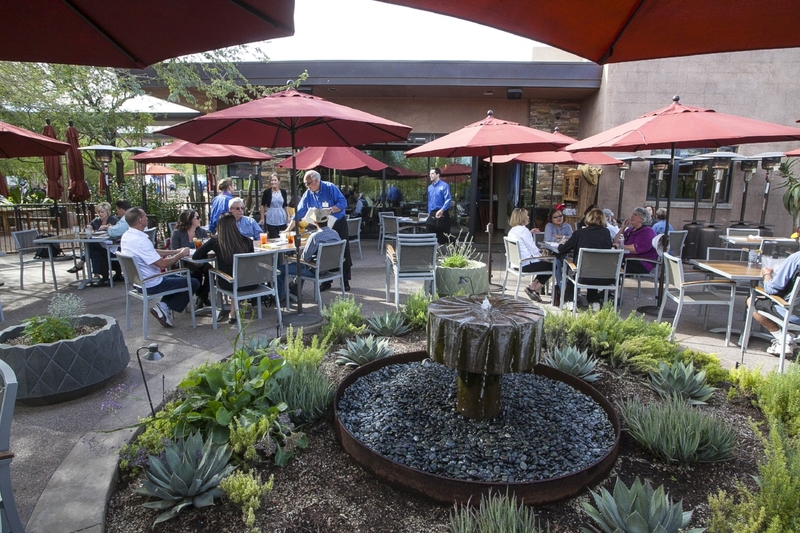 The Desert Botanical Garden&apos;s upscale restaurant and bar pays homage to the garden’s founder, Gertrude Divine Webster, and her mission to conserve the desert surroundings. Many of the herbs and vegetables used are sourced from Gertrude’s patio garden as well as DBG’s community garden. The seasonal American menu showcases ingredients from farmers in Arizona and the Southwest, represented in dishes such as the Niman Ranch ham steak with Anson Mills grits, red eye gray and watermelon pickles. Local wines and beers are plentiful as are a selection of botanically-infused cocktails—think the agave sunrise reposado, a spirited concoction of elderflower, Brut bubble, fresh grapefruit and lime juices and bitters. The piece de resistance at Gertrude’s, though, is the outdoor patio area, a coveted dining spot where visitors can soak up the award-winning cuisine amid flora and fauna. Indicative of MIM&apos;s mission to support a universal message of music, the casual, self-serve dining spot offers diverse culinary notes, serving a changing lunch menu of global, local and regional dishes, grilled specialties, soups and salads and made-from-scratch desserts. The dining atmosphere is illuminated by sunlight views of the museum’s courtyard entrance, but the station-style food setup doesn’t diminish the highly-developed flavor profiles or nutritional content of Café Allegro’s thoughtfully-designed menu that features vegan, vegetarian, organic and minimally-processed items like the farm-to-fork Arizona chicken salad or the Jamaican jerk spiced pork ribs. The café also features a robust lines of local, regional and international wines, including Pillsbury’s Wild Child White from Cochise County, Arizona. The Heard Museum, which houses a prominent collection of American Indian art, stays true to its Southwestern roots with a seasonal menu featuring salads, sandwiches, entrees and desserts that spotlight indigenous, sustainable and locally-sourced ingredients. Though the menu evolves with the seasons, Southwestern art aficionados have dined on Courtyard Café permanent favorites like the Heard signature meatloaf made with ground bison, ground beef, applewood-smoked bacon, grilled onions, house-made smoky tomato jam and country white bread for years. Other long-time culinary fixtures at the café include the warm tepary bean sala, acclaimed posole and fry bread. The cozy home-like feel of the Heard makes the quaint restaurant and its lush courtyard patio the perfect midday space to refuel and reflect on the museum’s historical significance to cultural preservation of the region. The aptly-named Palette is a casual American restaurant that bursts with its own swath of color and artistic integrity. Offering a seasonal menu, Palette is a true museum retreat with a seating area that extends into a peaceful outdoor sculpture garden. The restaurant features organic vegetables, handcrafted sauces, local meats and Arizona boutique beer and wine with some global twists. Visitors can pick from a smorgasbord of noshes and bites from the main menu, which includes a McClendon roasted butternut squash bisque, slow roasted pork tacos and a Cuban press sandwich. Palette’s Sunday brunch also demonstrates a flair for the epicurean arts, offering items like a pulled pork omelette and crab cake benedict, with palatable $5 mimosas to graciously toast the museum’s dedication to creative and culinary pursuits. 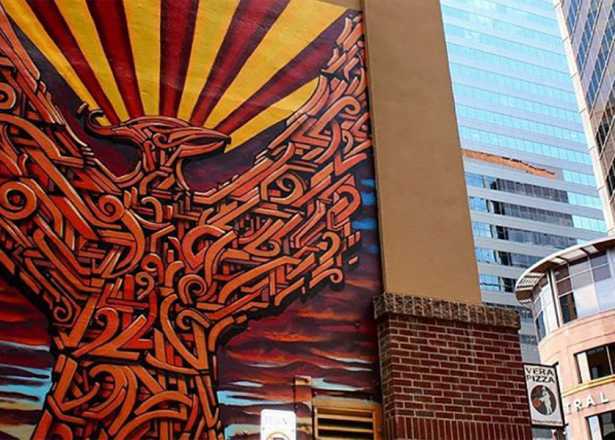 These six not-to-be-missed Phoenix street artists and muralists are decorating downtown and filling up their Instagram accounts.